CONNEX 54 Super Scientific Set lets you build your own educational science fun! Engineer challanging games with your friends from 54 different science activities. 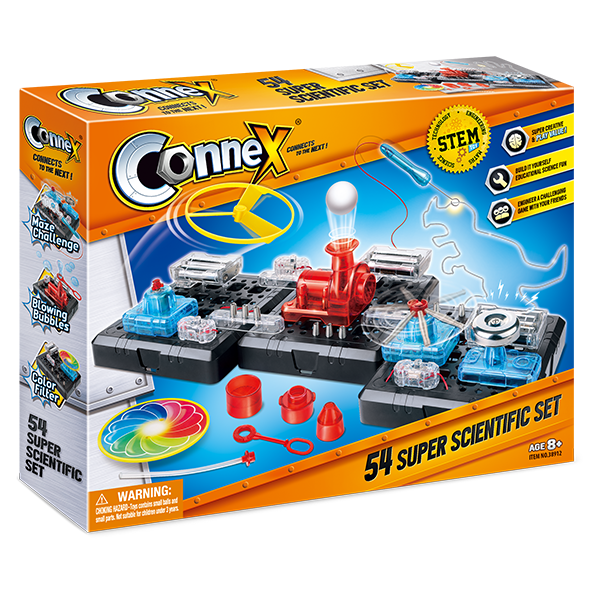 This ultimate connection includes an amazing flying disc, amazing turboair (vacuum and floating ball), amazing color filter, amazing maze challenge, and amazing turboair blowing bubbles.